Immediately south-west of Hyde Park Corner, Belgrave Square Garden is Belgravia’s green and leafy centrepiece, a 4.5-acre private garden that was designed by George Basevi and first planted by Thomas Cubitt in 1826. 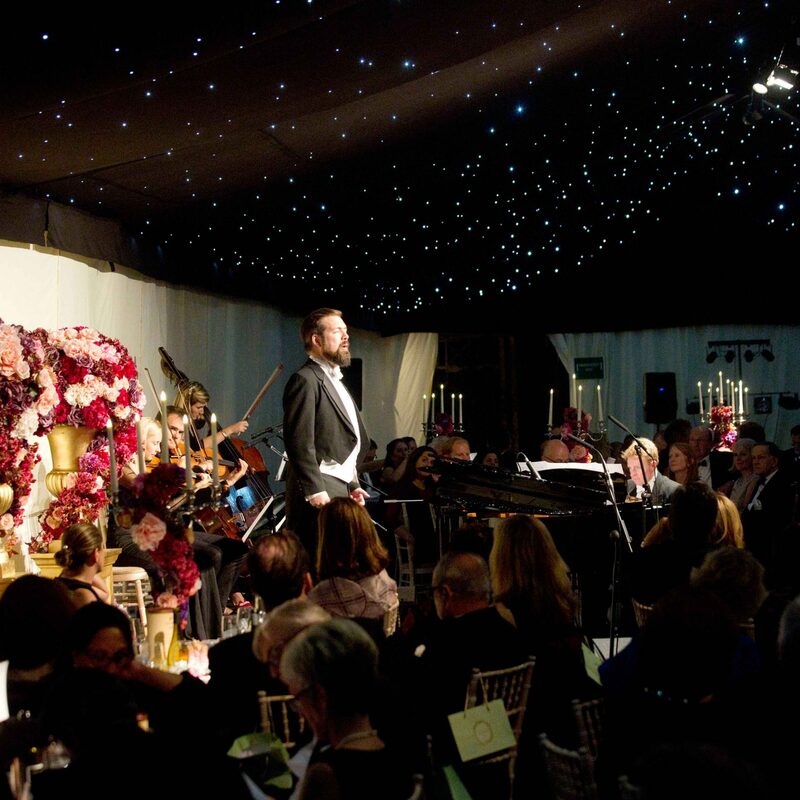 ‘Arias under the Stars’ was the inaugural event organised by the Belgrave Square Garden Events Committee, charged with managing the affairs of the gardens. The event in association with The Hari, the Grosvenor and The Berkeley hotels, London was a black tie affair, offering an evening of style and culture that would live up to the perfect backdrop offered by the gardens and their location. 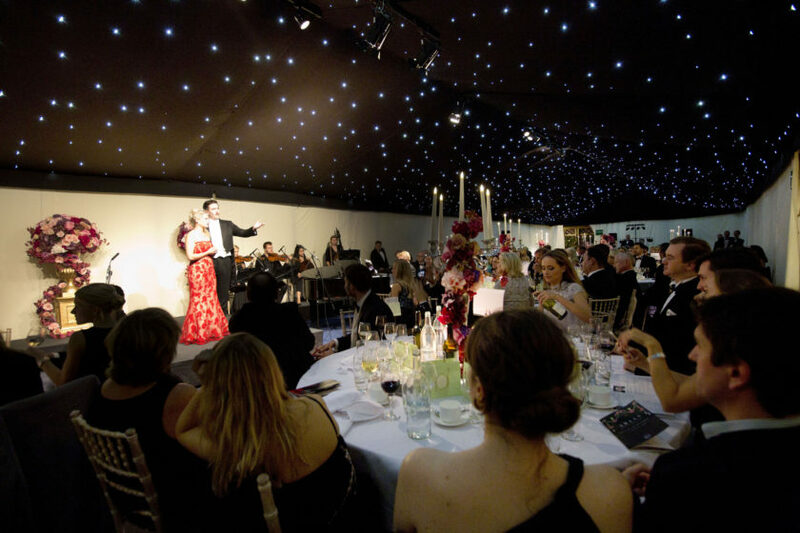 To create an evening of pure sophistication – a four course meal intertwined with wonderful operatic acts set in an Italian backdrop. 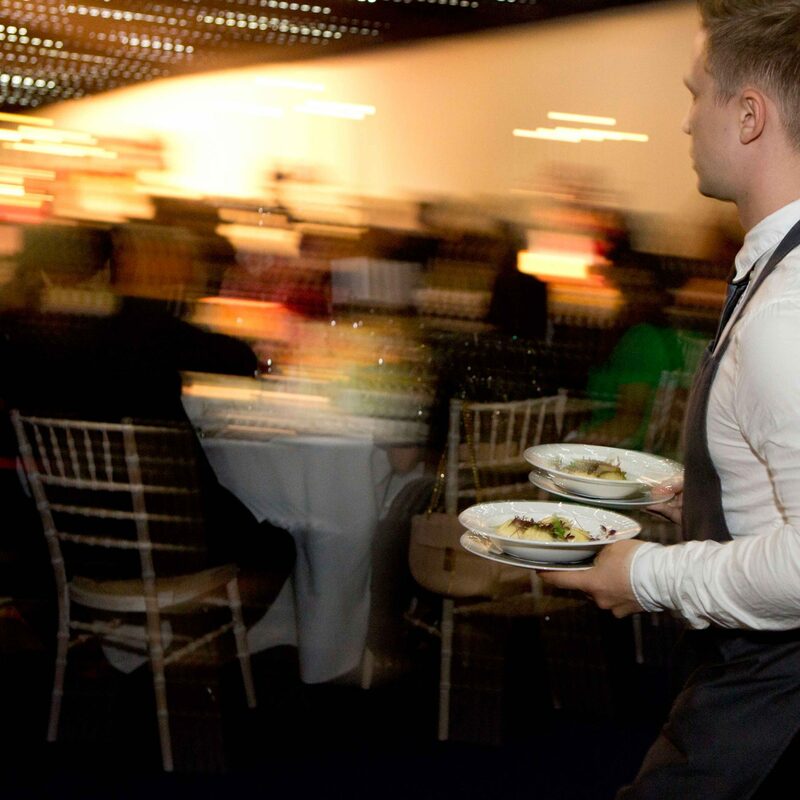 Our job was to be at the very top of our game to deliver elegant, delicious food. We love to create a story. The Arias fit perfectly with the Italian feel of the menu. From handmade gnocchi to die for to espresso tiramisu, we ensured all aspects of the food and service complimented the event and that the evening ran seamlessly. Guests were welcomed with canapés of mortadella and goats cheese parcels; crisp tiger prawns with arrabiata dip; Dorset crab and oregano cones and mozzarella bonbons. The Italian theme continued with sumptuous artichoke and ricotta stuffed gnocchi served with wild mushroom cream and garnished with shaved Parmesan. Dessert was mocha tiramisu with milk chocolate foam.